A matching-numbers 1956 Porsche 356 A 1600 S Speedster in exceptionally original condition is the first car announced for the RM Sotheby’s Porsche single-marque sale in Atlanta in October 2018. A 1956 Porsche 356 A 1600 S Speedster by Reutter, estimate $500,000 – $600,000, is the first car announced for the RM Sotheby’s Porsche Atlanta sale. This highly original, fully numbers-matching 1956 Porsche 356 A 1600 S Speedster will be offered from its owner of 51 years. This Super Speedster has only 35,000 miles on the clock of which only 3,000 were added in the last half-century. RM Sotheby’s is arranging a Porsche single-marque sale at the Porsche Experience Center Atlanta, USA, on 27 October 2018. The sale will feature 70 Porsches to celebrate the 70th anniversary of the German sports car brand. A 1956 Porsche 356 A 1600 S Speedster by Reutter, estimate $500,000 – $600,000, is the first car announced for the RM Sotheby’s Porsche Atlanta sale. This time capsule, fully numbers-matching 1956 Porsche 356 A 1600 S Speedster, commonly referred to as a Super Speedster, will be offered from its owner of 51 years at the October auction event. 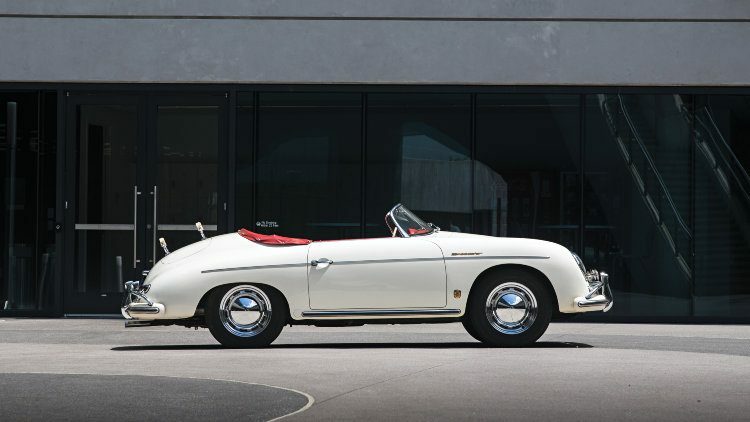 A rare example of the first production Porsche model, the nimble, rear-engine, two-door 356 Super Speedster is lauded as one of history’s greatest sports cars. The Speedster iteration of the 356 was introduced to the U.S. market in 1954 to compete with its affordable British contemporaries. The Speedster wore a more sporting body, featuring a low, wraparound windscreen, an entirely retractable hood, lower door waistline, horizontal trim strip and twin bucket seats. 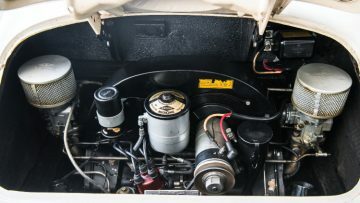 The 356 A Speedster was equipped with the 1.6-liter, 60 bhp air-cooled engine, and in this rare ‘Super’ configuration, boasts an improved 75 bhp output. 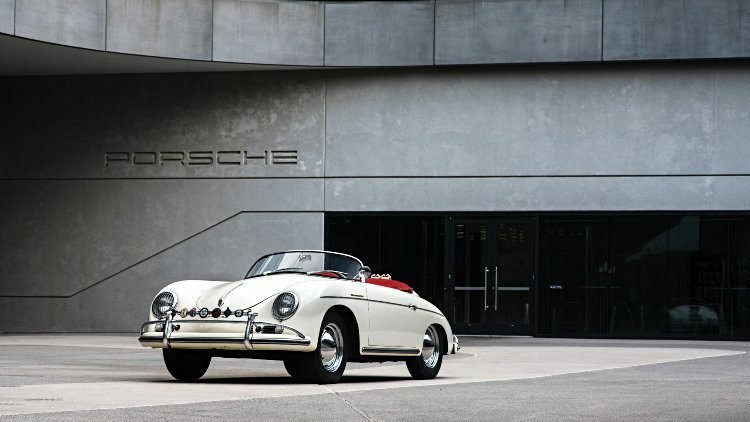 In 1967, Mr. Robert P. Howry, a butcher in Lancaster County, Pennsylvania—and a self-proclaimed sports car fanatic—purchased this Glacier White 1956 Porsche 356 A 1600 S Speedster, chassis no. 82780, from a local scrap metal dealer, who had acquired the car from Lancaster County Motors when new. 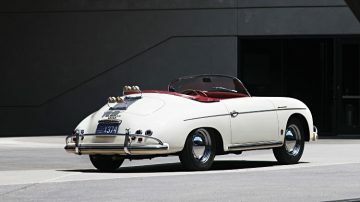 A lifelong “coupe man,” Mr. Howry could not resist the stunning good looks of the Speedster and had to have it. Unlike the other sports cars that came and went in his collection, Mr. Howry would hold on to the Super Speedster for the next 51 years, during which time it led a pampered life in a specially built garage and saw just 3,000 miles on the road. 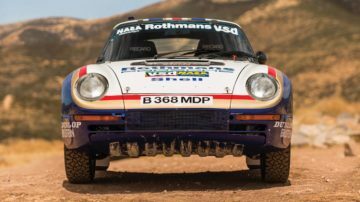 The Porsche enjoyed just a few showings over its time with Mr. Howry and his wife Joan, an equally passionate hobbyist, including a first-place win at the 1979 Porsche Parade in Reston, Virginia, as well as several tours with the couple at the wheel. 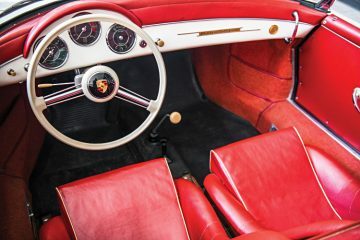 Despite its quiet life, the Speedster was meticulously cared for by its owner, who looked after the leather, changed its oil regularly, serviced the engine, and preserved its original rubber trim, treating it with linseed oil every year. The Super Speedster has remained in such exceptional original conditional throughout its life that other enthusiasts seeking knowledge on how to restore or judge similar models would visit Mr. Howry to inspect the car. The numbers-matching Super Speedster comes to the Atlanta sale in incredibly original condition, showing just 35,302 actual miles and complete with Porsche Kardex and Certificate of Authenticity, original side curtains, pull-through key fob, tool roll, manuals and a host of other original parts. A true Porsche enthusiast, Mr. Howry says it is time for someone else to appreciate the Super Speedster the way he has for 51 years and continue its very special story (Est. $500,000 – $600,000).